Treat Chest Candy Club: August 2015 & Coupon Code! Today I’ve got a subscription for the kid in you. 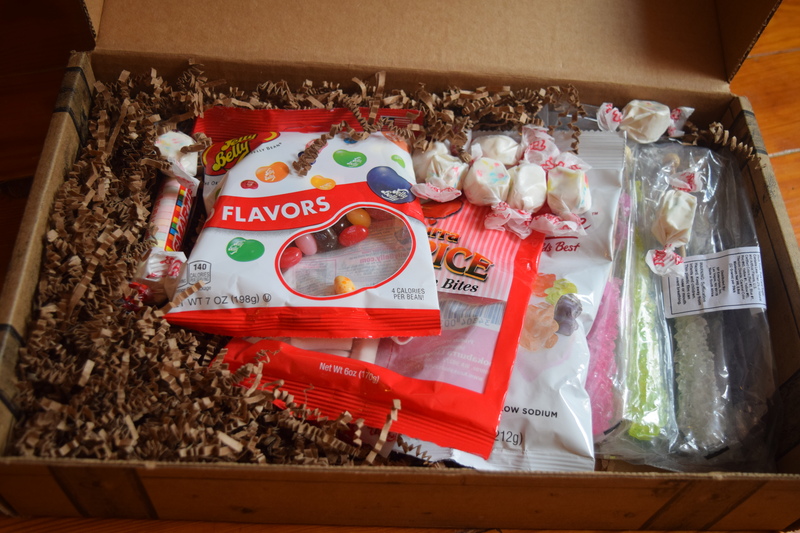 The folks at Treat Chest Candy Club box graciously sent me a box to review. Yes you heard that right, CANDY club. Seriously people, you have no idea how much I needed this. 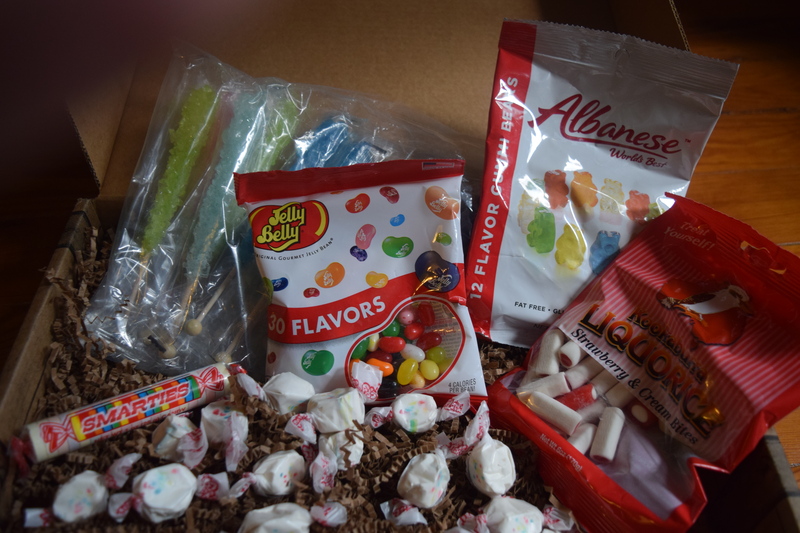 Treat Chest Candy club will send you a monthly assortment of 5 different candies for $26.99. You can pre-pay for 3 or 6 month for a discount and there’s currently a great coupon code. (If you use code 1for3, you’ll get one month free when you purchase the three-month subscription. If you use code 2for6, you’ll get two months free when they purchase the six-month subscription.). Now let’s get to the sugar people. A surprisingly large box showed up at my doorstep. Unfortunately, there was no little info card inside so I’ll need to get a little creative with my descriptions. 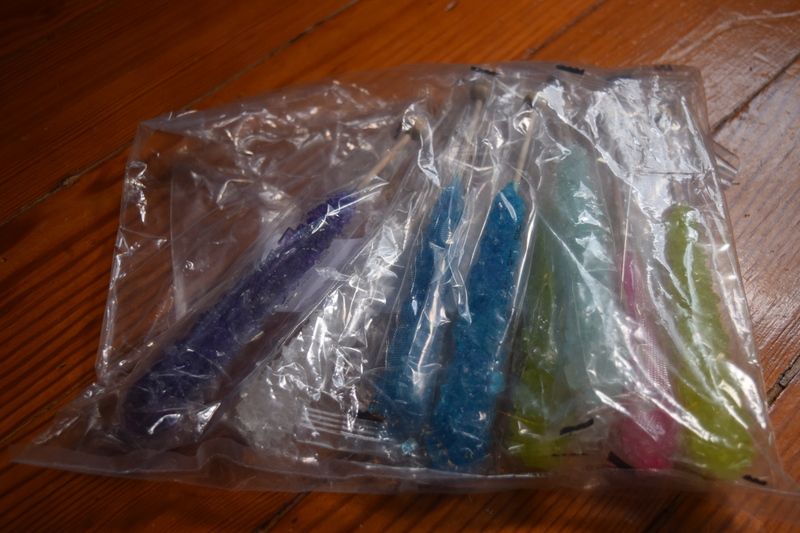 I don’t really like to eat rock candy that much, but I do think they are awesome for cake decorating. I’m sure I’ll eat at least one when I need a sugar fix. I’ll just have to hide them when my niece and nephew come to visit. Have I had jelly belly beans before? Of course. But I never bother to buy them for myself and these are frick’n delicious (except for the rogue licorice and cinnamon ones). 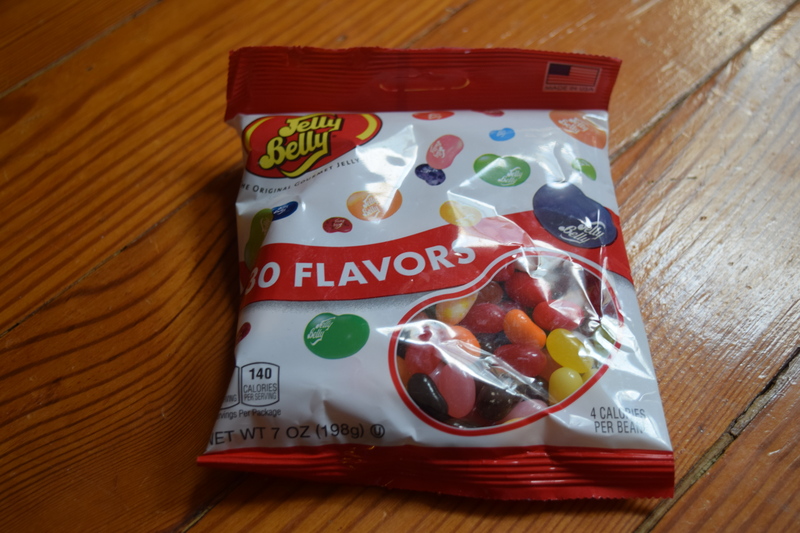 I cannot adequately describe the appeal of eating a jelly bean flavored like popcorn. Somehow it transcends both popcorn and jelly beans. It’s magic, I tell you. Magic. My boyfriend and I finished the bag and I actually went out and bought a couple more. I adore strawberry liquorice (as evidenced by my obsession with Twizzlers), but I wasn’t crazy about the “cream” part of this. Don’t get me wrong, I still ate them because strawberry and liquorice, but they would have been so much better without the cream. I’m not sure about the price on this one because it’s sold out on the Kookaburra site and priced much much higher on Amazon, so my estimate on this one is probably on the low side. Description: “Candy for people who like to chew for a really long time”. Because we had no info card and these are individually labeled, I needed to do some detective work in order to figure out what they were. I’m not a taffy fan. I’ll eat a piece once in a while but it’s not my favorite. 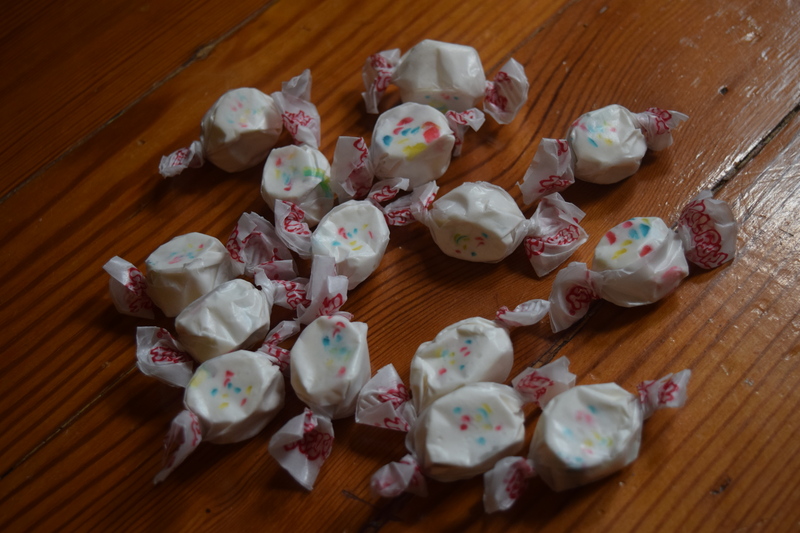 These are definitely good for taffy, but I tried them before I knew the flavor and I really couldn’t recognize it. They tasted like vanilla to me, but I’m not sure the “Frosted Cupcake” came through enough. Smarties are to candy what grape nuts are too cereal. Gritty, gross, and unnecessary. 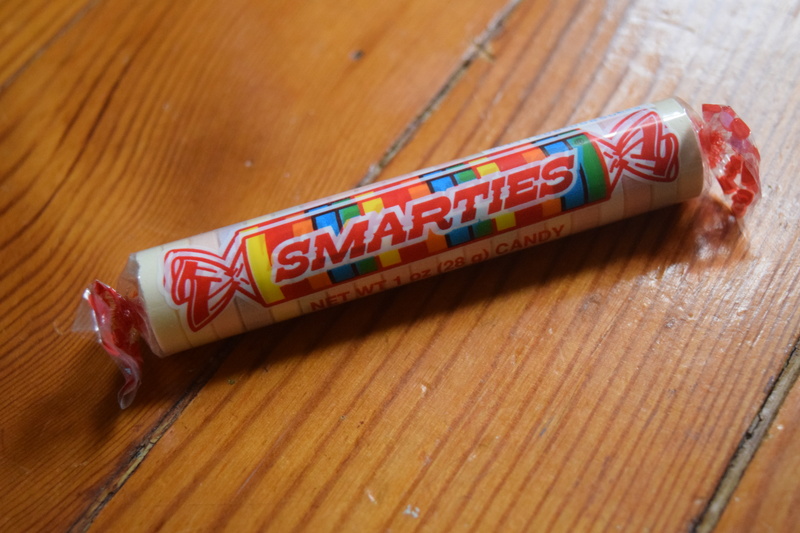 I remember being a little kid and eating the small size smarties and pretending they were pills. Like that’s the best thing I can say about this candy. It was great for playing make believe hospital. Seriously. These are not good candy. No Bueno. They are dragging down the box. Verdict: Let the angels sing! So I saw the “world’s best” on the bag and I admit it, I scoffed. I love gummies and I’ve tried a lot, believe you me. I was so sure these would not live up to cliam. Now I’ve never tried gummies from say Madagascar or Zimbabwe, but THESE ARE THE WORLD’S BEST GUMMIES. They are not lying. These are so damn delicious, I can’t even tell you. They are perfectly soft and each flavor tastes exactly like what it’s supposed to. The watermelon gummies (yes I said watermelon) are frick’n amazing. 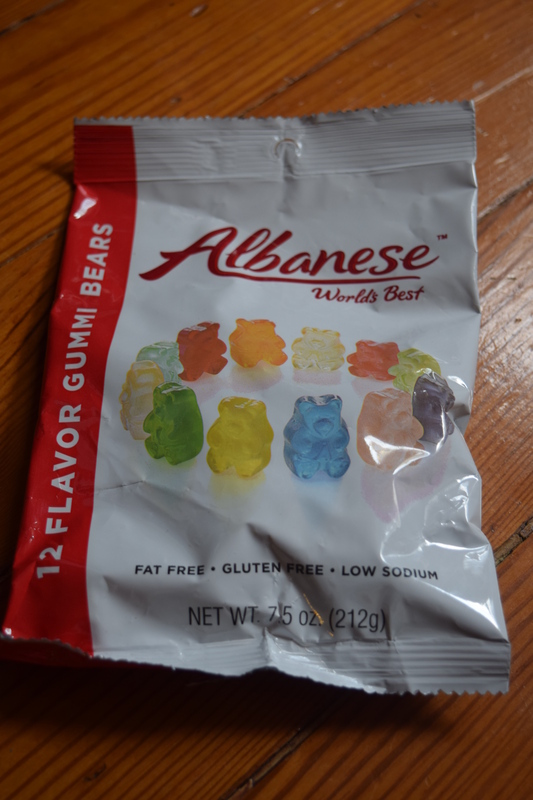 I had to buy more of these so I went to the Albanese site and not only are there “bears” but there are “cubs” and “papa bears” and worms and Rain forest frogs and even memorial day gummy soldiers. It’s like Willy Wonka for gummies! I may or may not have a 5 lb bag of gummy bears heading to my house. I should be sorry, but I’m not. If you love gummies, you have to try these. Find a way, I’m telling you it’s a goddamn gummy revelation. At first glance the value on this box looks a little low. If you add up all the candy you get $20.20, and this box costs $26.99. 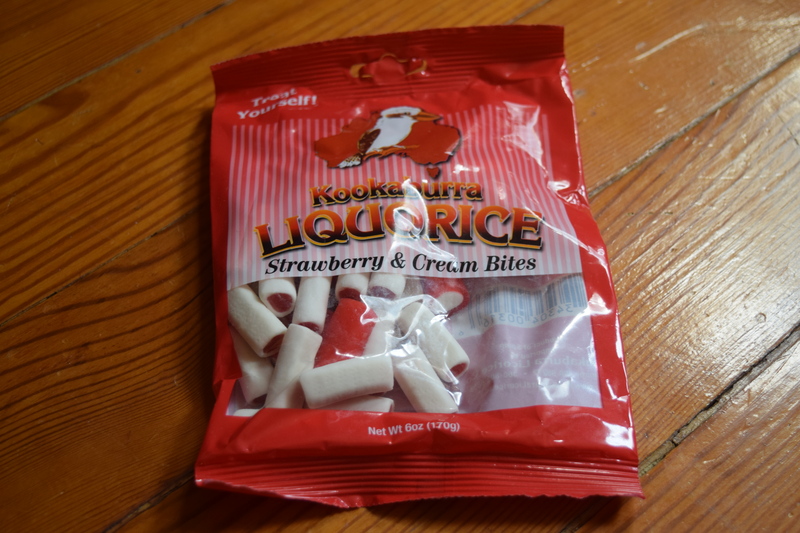 But after having attempted to order some of the candy, a lot of the specialty places have high shipping prices and the Kookaburra is sold out on the main site and Amazon charges a ton to ship it. So while this sub seems a touch pricey for the 1 month subscription, the value is still there. Once you opt for the 3 month or 6 month options you are definitely fine with what you’ve paid versus the value of the items. This box was so much fun to open and introduced me to some candy brands I hadn’t tried before. I will forever owe Treat Chest a debt for introducing me to the Albanese brand. (Although I may gain 5 lbs of solid gummy weight). What are your favorite candies? If you use code 1for3, you’ll get one month free when you purchase the three-month subscription. If you use code 2for6, you’ll get two months free when you purchase the six-month subscription. 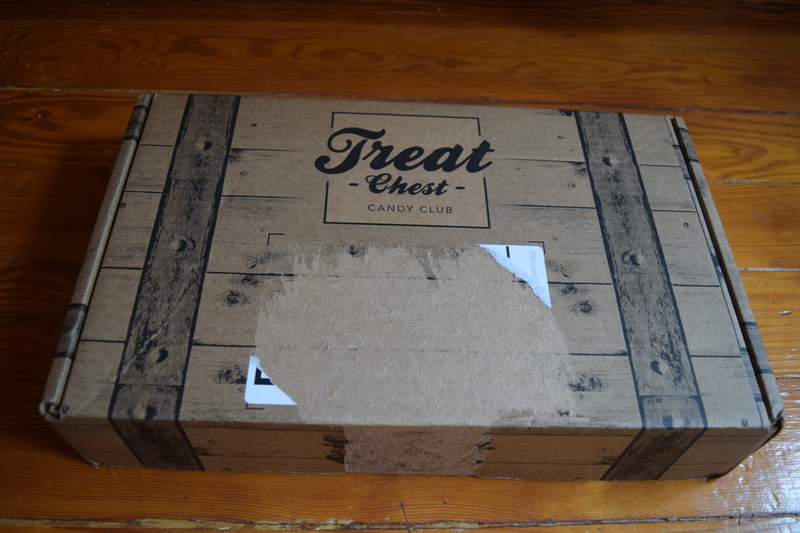 “At Treat Chest, our sole purpose is to deliver a unique and mouthwatering mix of the world’s finest candy to your door. The variety changes each month, so every box is a sweet surprise! “Just pick the plan you want, and mark your calendar in anticipation. You can choose to receive just one box, or you can select one of the other multi-month options. Each order renews itself at the end of the subscription time period. I have to say that opening up this box really made me feel like a kid again. Definitely worth a smile! I love your Candy treasure chest…I know my son can help me with this candy box! I’m sure he’d love it!